Art requires a personal touch. 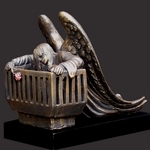 If you are looking for Christian art and gifts you will love and cherish, you will be pleased to know that all the works of art at LordsArt are made with a personal touch. A personal touch is also the driving force behind our staff. We personally respond to any requests, keep customers informed on the status of their orders, and email thank-you letters to our customers. A personal touch truly differentiates LordsArt from our competitors, but it would be worthless without the Christian art and gifts you want. 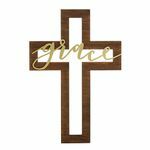 From framed and unframed fine art to wall décor and Christian jewelry, we have the religious gifts you’re looking for. 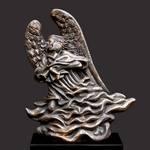 We also carry crosses, plaques, sculptures, Spanish gifts, and items that can be tailored to meet any circumstance. These gifts are a great conversation starter and a fantastic way to share the faith you hold dear. 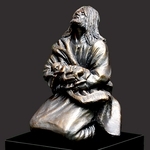 LordsArt believes that our products spread the love of Christ, and we are committed to providing the Christian products you want for any event or special occasion—including Christmas, Easter, sympathy, or everyday decoration. 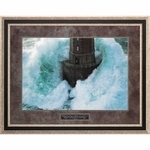 Please look around our website for more information on the beautiful art we carry. PROUDLY SERVING THE CHRISTIAN COMMUNITY SINCE 2006. Questions? Contact us at 210-858-9707.